Making notes tonight in preparation for a message I get to share in the transitioning colors of Vermont next week. This life finds us hovering above the soil that holds the potential for gardens of growth, lessons learned, attention to detail, awareness, and appreciation of beauty. For some reason I can’t rid my thoughts of the law of the harvest and the law of compensation these days. You can’t separate the soil and gardener from of the garden itself. Without each other, the garden doesn’t exist. 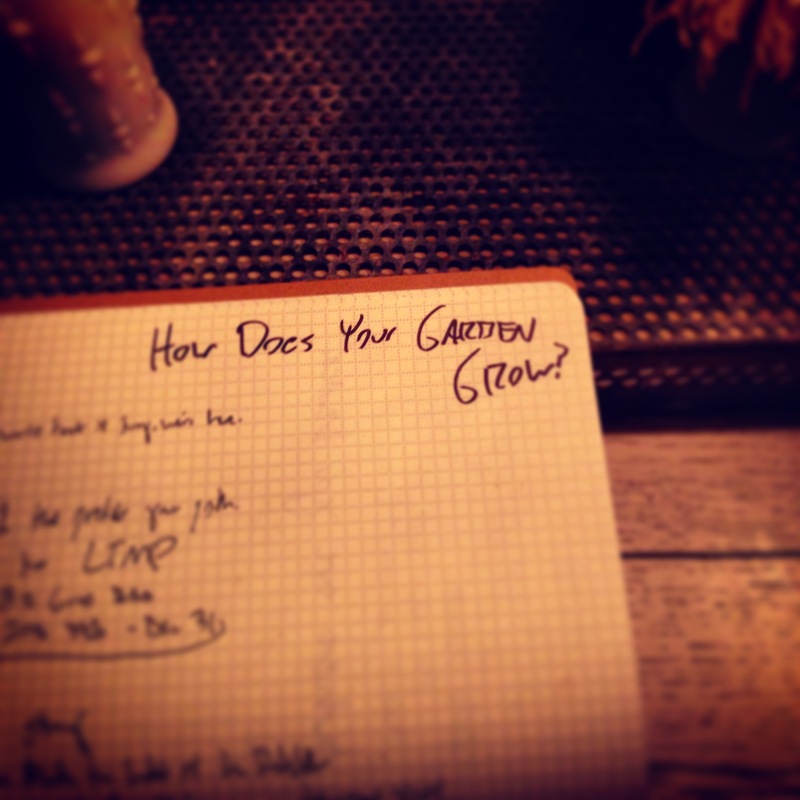 How does your garden grow and grow well? It begins with a gardener that is fully present and fully aware of his responsibility and duty to be gardening in the first place. Weeds are synonymous with noise and SPAM. Beauty is produced. Beauty is bloomed. Beauty bursts through the dirt after a seed is sown.